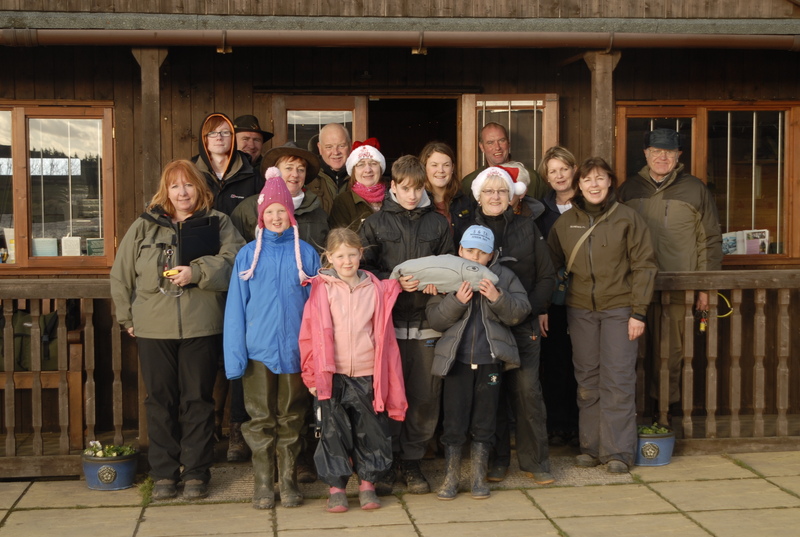 Eighteen anglers joined in the festivities at Chatton Trout Fishery on Sunday 9th December. The day commenced with a ‘friendly’ competition for everyone. 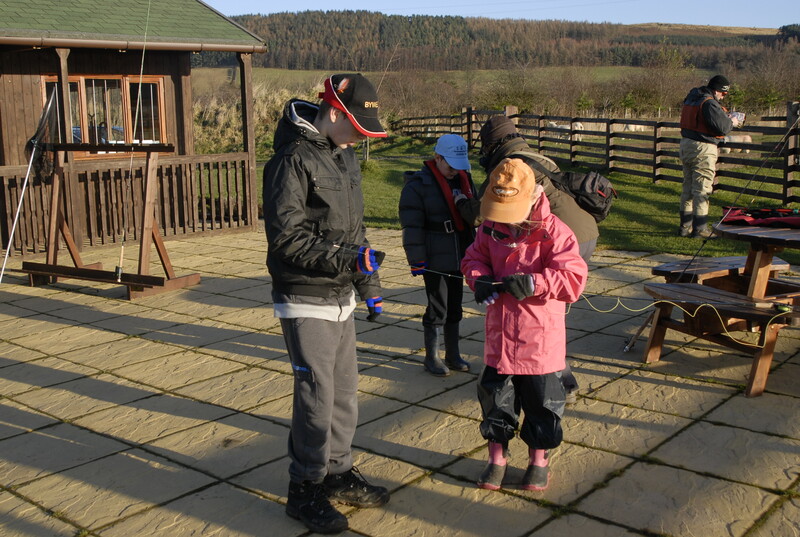 Ladies and juniors had the ‘magic touch’ during the two hours with most catching fish. Dads and husbands did not fair as well, as only one fish came to their nets. After a buffet lunch, there were more fun competitions organised by Cliff Johnston; ‘Hoy the Haddock’ winners Ella Hall (aged 12) & Lesley Johnston; ‘Loop the Hoop’ winners Maisy Hall (aged 6) & Graham Hall; Make a ‘Wiggle Cast’ and count the number of wiggles, winners Rowan Hilary (aged 8) & Marion Matthewman. 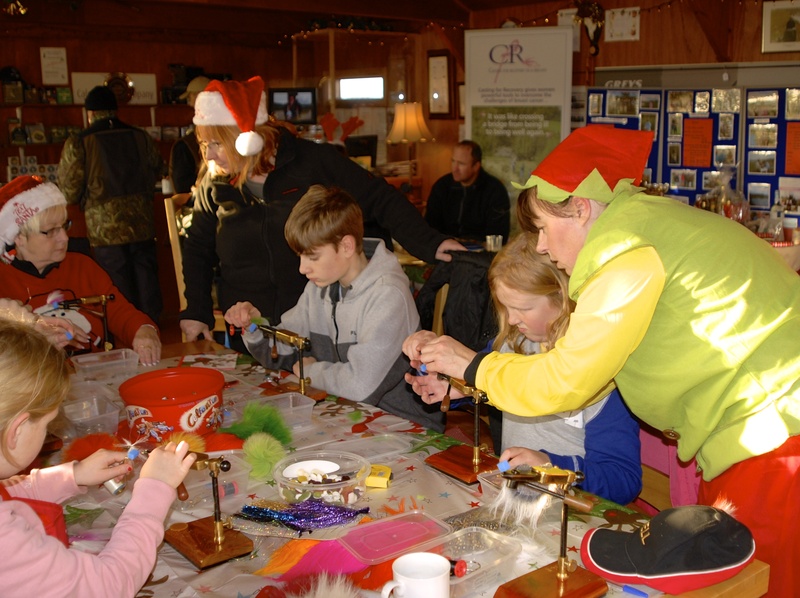 Then it was back inside for festive fly dressing on a brooch for juniors, with coaching from Santa’s helpers. Head coach Paul Little talked about equipment and how to care for it during winter, including what to look for when buying a rod (photograph enclosed). Thank you to rod manufactures Sonik Sports for the selection of rods and reels sent for the ladies to try. 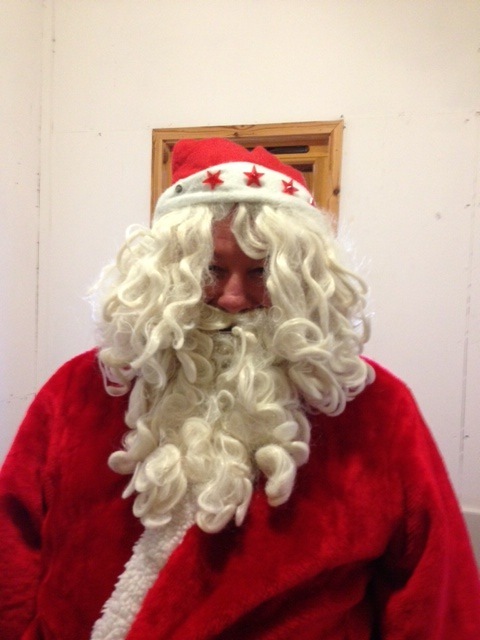 At 3.30pm on his way to the North Pole, Chatton had a special visit from Santa Claus. Santa sends a message of thanks to ‘Santa’s Helper’ Rowan Hilary for assisting him with present distribution. Ho Ho Ho! Thank you to Janice Robinson, organiser of the raffle, and everyone who donated prizes. The raffle raised £233 for Casting For Recovery UK & Ireland & Get Hooked on Fishing. The day finished with the raffle being drawn and competition winners announced. Club trophies were presented by our guest Christine Harle. 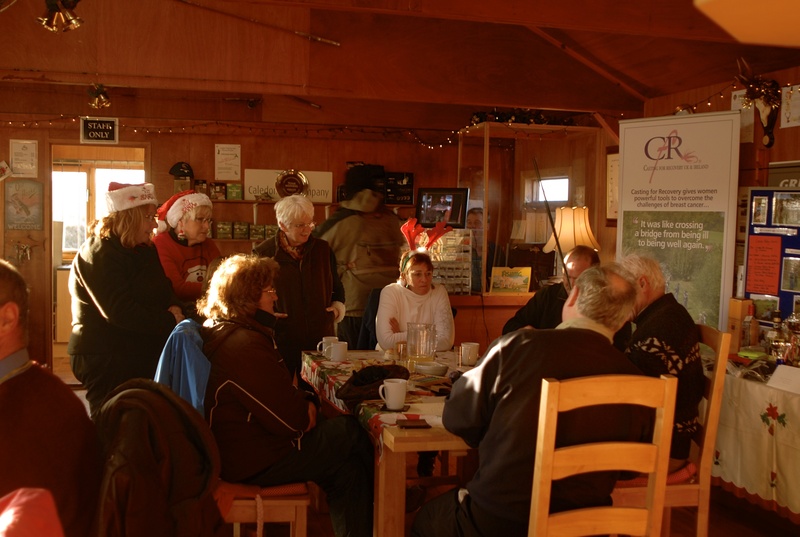 Special thank you to Alison and Roger of Chatton Trout Fishery who have supported the group since its inception. Their generosity has ensured the club goes in to 2013 in a strong position. Next event Sunday 16th December: Grayling Fishing on the River Annan.